Sometimes I don't want to write from where I'm actually at. I'd like to write from where I want to be. I'd like to write from a future, more mature, self. I don't want to fully admit, to myself and others, that I am still at the beginning of so many things. I'd like to think that being a mother for 18 months means I'm an expert. I like to think that because I've been married and in Christian ministry for almost five years, that I have all the right attitudes and the best words to say. The truth is, I'm only 25. I carry immature attitudes and I'm still insecure in many areas. Most of the time I have a lot more to learn than I do to share with others. I recently read this post and it got me thinking about owning this season of my life. Accepting that I have life experience in some areas, but that I'm clueless in others. And that this reality is ok. I'm only 25. I don't have to pretend to be wiser in order to feel secure. My life experience, no matter how insignificant in my own eyes, is an avenue through which God is shaping my character. And that makes it valuable. When I see God loving and growing me, in the middle of my immaturity, I see that He is more interested in having a solid relationship with me than in me performing perfectly. So as much as it sometimes pains me, I'll keep writing from this season. I'll keep sharing, talking, and praying from exactly where I am. Because this is the season He's given me and He can show His grace through the little that I know. And thank you for this reminder. It coincides so well with something I read earlier today, about a pastor's wife who dealt with all kinds of insecurities and poor self-image for 17 years into their ministry. 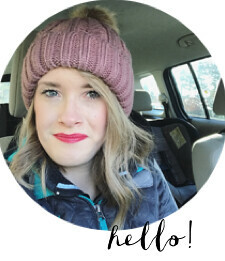 We all (no matter how it may appear on the outside) are dealing with different struggles, and I think that's what makes the blog world go round. just like you encouraged me with this post! Love, love, love, love this. And maybe I needed it too. Love you girl! I love the simple truth of this post :) Good Job!